Talent, Enthusiasm, Diligence, Care and Openness - these are the qualities that Stixis extends to its customers. Continual improvement is an integral part of our mindset. We founded Stixis with a mission. To make our customers achieve their goals and optimize their business processes by empowering them with reliable custom software systems, by helping them to get their top-notch software products to markets faster, by unleashing the power of technology. Whatever may be the size of your enterprise and whatever your needs may be, you will undoubtedly get benefited from our core strengths delivery excellence, deep domain knowledge, an innovative approach and our flexible engagement model. "Just one stop to satisfy your IT appetite"
In this highly unpredictable economy, businesses need to counteract market changes with flexible innovative business strategies to be successful. The right partners will be the ones who stand by you in executing the response to these market changes. 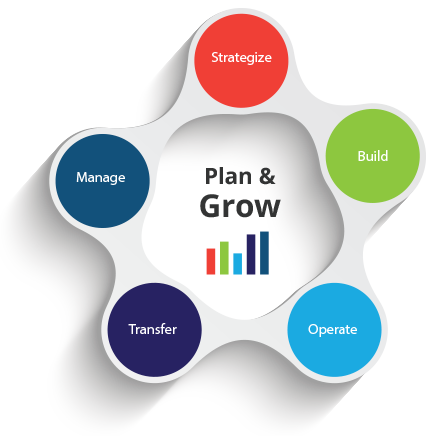 Stixis offers multiple engagement models to meet diverse needs of global clients. Our engagement models are tailored to reflect the maturity and complexity of specifications, technologies, processes that drive successful delivery. We can work with you to customize any model to address your specific needs. This helps you to have a competitive advantage in a changing marketplace. Stixis sets up the facility and infrastructure, staffs the development center, establishes operating guidelines and knowledge transfer procedures. Stixis registers a new India Subsidiary for the client, transfers all assets and relinquishes all direct control of operations to the client. A neatly developed framework guides all partnership processes, whereas a properly organized and structured cooperation is a way to combat risks while receiving all the benefits of an outsourcing venture. You have the option to combine one or more available models as part of your business strategy. We exert to minimize the environmental impact of our business and reduce the waste and pollution.